Software solution - WHS-Handling spol. s r.o. We put modern touch, user-friendly interface and reliability first when designing software. We support the ‘One Button Solution’ concept when software takes over operator’s tasks to the maximum extent possible especially during machine initialization, setting-up default operating parameters, dealing with fault service status and so on. There are a number of manuals, modern and clearly explained visualizations ready for machine operators. 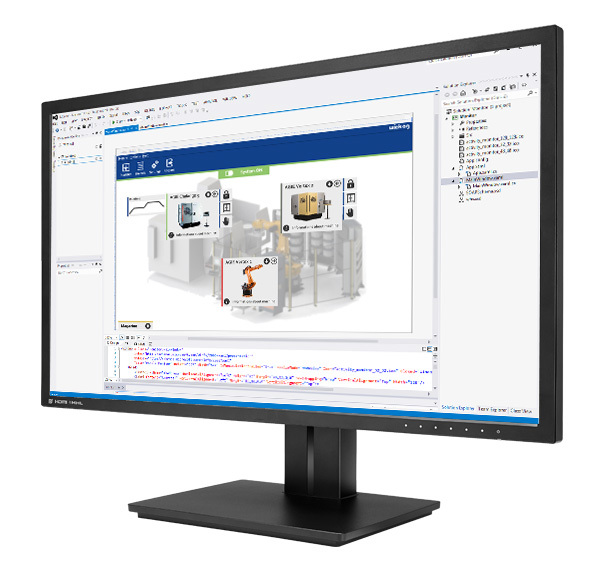 Combination of our current solutions integrated by a modern HMI/SCADA visualization for fully-automated production control based on order management system that assesses the status and availability of machines, parts and orders’ priority. 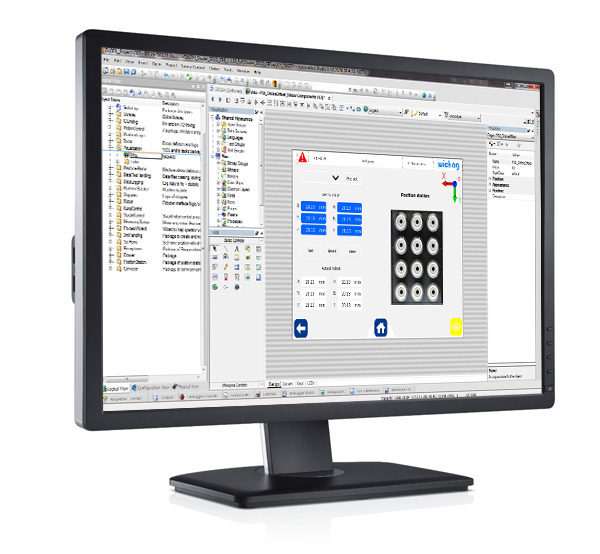 – Pre-arranged modular system with added specific function of a machine enables us to provide robust PLC software quickly. – Modular application designated for production control in robotic cells. Starting from operation of a single machine to large automated lines. – System for contract management and manufacturing process control. Enables supervision of production quality, data acquisition and statistics and reports compilation.